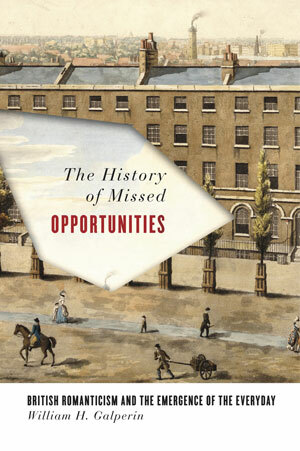 The History of Missed Opportunities explores an unrecognized, certainly an unappreciated, development in Romantic-era Britain: the discovery of everyday life as a world that had been overlooked or, as Maurice Blanchot later describes it, “what we never see a first time, but only see again.” Emergence, first theorized somewhat later in the nineteenth century, focused––to no real surprise––on the rise and synthesis of complex entities from components that were less complicated. But in a reversal of this dynamic that might be deemed pre-Darwinian, the impetus behind the everyday’s emergence as a separate stratum of experience involved two things: the emancipation of the world from subjective or phenomenological misprision in allowing a symbol derived from nature (in, say, a Wordsworth poem) to revert back to a more basic materiality or thingness; and second, and related, the recognition that the lives and experiences of individuals (but also of nations and societies) were myopically bound to futurity––to horizons of progress or development––that took little stock of the present, which was increasingly “missable” (as Stanley Cavell has termed it) but as a prelude now to being (re)discovered. And what of history at this moment? Well, in addition to being made daily (or so it seemed), history was being mobilized––notably by empirical philosophy––to establish generalities and probabilities so that “what we have found to be most usual,” as David Hume put it, “is always most probable.” For a skeptic like Hume, for whom nothing was knowable beyond a mere impression, history––experience in aggregate––was more than just a guide to understanding what was out there; it was just as importantly a conservative wish that our tomorrows would resemble yesterday. For the Romantics, however, who were progressively invested in tomorrows that were different and transformative––and less concerned, for their parts, with the limits posed by subjectivity––history was put to different uses. 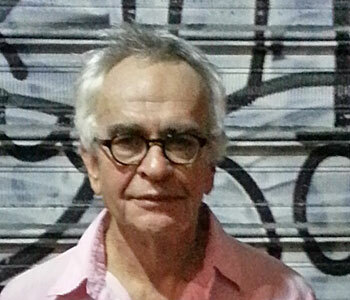 The most common were histories that are broadly linear––so-called Whig histories––where the past and the future were coextensive in the assumption that each moment in time was a step toward absolute modernity and, eventually, the end of history. But there was another use and, as my book shows, it involved something very different: a reckoning where possibility abides in reminders and remainders––opportunities I call them––that are accessible in the wake of being missed after which they are recognized, again and for the first time.